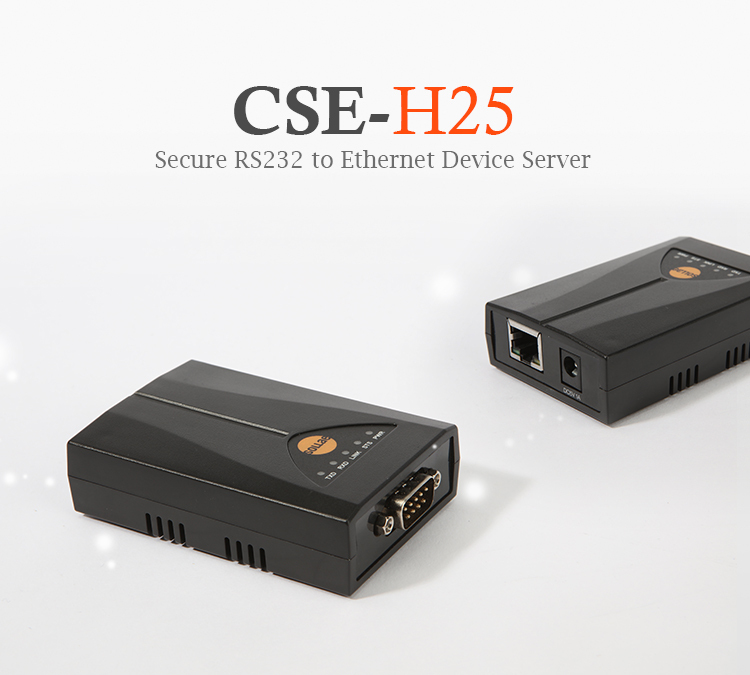 CSE-H25 is a RS232 to Ethernet converter with enhanced security protocols embedded. It basically supports conversion functions (serial to TCP/IP and vice versa) to enable your RS232 serial devices to be controlled and monitored over the network. This serial to Ethernet converter comes preloaded with various communication functions(DNS, DDNS, Telnet COM Port, etc.) and strong security functions (SSL, MAC/IP filtering, etc. ), along with multi-monitoring that allows your serial device to be monitored by multiple hosts at the same time. CSE-H25 can be applied in various communication environments such as Secure Communication through the Internet, Multi Monitoring, Control PLC over Internet, etc.